Bambora is a global player in the world of efficient card payment solutions. Essentially, they offer business owners access to a well-designed payment gateway that simplifies in-store transactions. What’s more, with Bambora as your POS provider, you get to enjoy secure payments too. Well, since Spoonity is integrated with Bambora, you can add a hand-off account to the list of benefits as well. That’s because, this way, all mobile payments are directly deposited in your account. 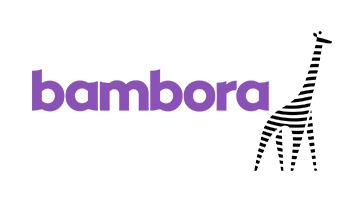 Spoonity is completely integrated with the Bambora payment gateway. That means you get to enjoy SKU-level data, so that you can easily monitor all transactions made in your stores/restaurants. Our platform has built-in measures that prevent fraudulent behavior of any kind. Plus, nobody can add loyalty points manually, so you can rest assured that every single transaction made in your store/restaurant is accurate. We made sure Spoonity’s integration with Bambora is foolproof. As a result, in-store transactions are never interrupted. What’s more, our platform also comes with a user-friendly design, so your employees won’t have any trouble getting used to it. LOOKING TO INTEGRATE BAMBORA WITH SPOONITY?